The Barack Obama Presidential Center will be built on the south side of Chicago, with plans to open offices by the end of this year. President Barack Obama and First Lady Michelle Obama made the announcement in a 2:50 video released this morning on the foundation’s website. “With a library and foundation on the south side of Chicago, not only will we able to encourage and effect change locally, but what we can also do is to attract the world to Chicago,” the president said. The Barack Obama Foundation officially established as an operating, 501(c)(3) nonprofit in January 2014. A four-member board of directors composed of Chairman Martin Nesbitt, J. Kevin Poorman, David Plouffe and Maya Soetoro-Ng governs the foundation. Requests for proposals (RFP) for the library were issued in September to develop and maintain a library, museum, foundation offices, academic institute and broader campus. In December, the foundation received final proposals from the University of Chicago, University of Illinois-Chicago, Columbia University in Manhattan, and University of Hawaii. The foundation intends to maintain a presence at Columbia University in New York City to “explore and develop opportunities for a long-term association,” as well as work with Hawaii to establish “a lasting presence” in the 50th state. The foundation and National Archives and Records Administration (NARA) will work together in developing the Barack Obama President Library and Museum as part of a larger Obama Presidential Center. The foundation will be responsible for all aspects of the building, construction, design, and planning processes for the center. It will transfer the library and museum to NARA, which will operate the library along with the 13 other presidential libraries. The foundation will raise all of the funds needed for construction and once completed, will provide NARA with an endowment equivalent to 60 percent of the total cost of all portions of the facility transferred to the administration. The foundation will be responsible for funding and operating the rest of the center. The presidential library system began in 1939 with President Franklin Roosevelt. There are 13 presidential libraries in the NARA system, all detailed in the Obama Foundation’s requests for qualifications, issued in March 2014. The first was Herbert Hoover Presidential Library & Museum in West Branch, Iowa. The most recent, the George W. Bush Presidential Library and Museum, was dedicated in April 2013 on the campus of Southern Methodist University (SMU) in Dallas, Texas. 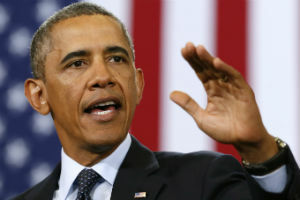 Digital records will outpace other media in future presidential archives. The George W. Bush Presidential Library contains 80 terabytes of digital data. President Bill Clinton’s library houses 78 million pages of official records, 20 million emails, two million photographs, and 12,500 videotapes. The Obama Foundation likely will raise a half-billion dollars during the next few years toward the effort. Disclosure of donors has come under scrutiny in recent presidential library efforts, which seem to get bigger and bigger. The Clinton Foundation has come under more scrutiny since Hillary Clinton announced her bid for the 2016 Democratic nomination for president. The Obama Foundation plans to disclose all donors and donations of more than $200 on a quarterly basis. The George W. Bush Foundation raised more money each year since its formation in 2006, peaking at $161 million in 2010. The organization reported total revenues of more than $500 million from 2007 through 2012. The center was dedicated in April 2013. That year, the foundation reported revenue of $36.8 million.